C.O. 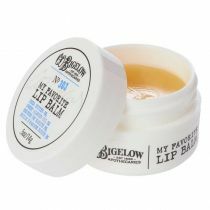 Bigelow Lotion Mentholus is a soothing lotion formulated to calm dry skin. Apply generously and gently massage into affected area until absorbed. Repeat up to 3-4 times daily. Soothing Skin Lotion. Our soothing and cooling lotion is our most effective remedy for treating dry skin associated with irritating skin conditions. This favorite formula is formulated to provide an instant calming effect on the skin. Can't seem to keep this product for long. Not only do I love it, so do my children and grandchildren. They will come over and ask for the C.O. 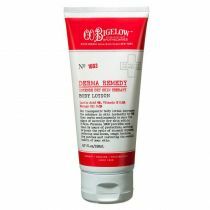 Bigelow Lotion. I'm constantly giving it away. At one time I had 15 bottles. It's great for itchy skin. You put it on and experience instant relief. Wonderful product. This is a bit pricey but, for dry itchy skin, you'll never find anything better! And I've tried it all. I finally ended up going to the doctor! Then I discovered this lotion which is fabulous. Soothes and promotes quick healing on my scaly, cracking eczema-patched hands. Wonderful too for soothing sun rash - I keep a bottle in the car to slather on my driving arm. Compared to drugstore lotions it's a little spendy, but for the quality it's worth every penny. So relieved it's back!! I love CO Bigelow's Lotio Mentholus. I purchased this through 2006 and for some reason it wasn't made after that. I sent in several requests and then I received an email a few years later that they would be manufacturing it again! It is amazing for bug bites, it's the only thing we use for it! Just wish it came in a travel size which wasn't glass for trips. Can't live without this one! Use this as an after shave on my balding head. Works great to help heal the minor nicks and cuts I get from shaving. Worth the expense because it's so effective. Great product for dry skin and eczema. I used to by it at Bath & Body Works but it not available there anymore. It is also expensive for an 8 fl oz bottle. I do wish it to come back to B&B Works so it is easily accessible to people who need it. I totally recommend it if you have the budget for it. This is the only product I have found that does not "burn" when put on winter eczema on children. Keeps his skin from breaking open and sensitive to touch. The most wonderful product for small kids with horrible winter skin issues. Thanks and keep producing it!! Made from wood of the camphor laurel (Cinnamomum camphora), a large evergreen tree, camphor helps soothe irritated skin and itching. Oat Extract and Sensicalmine act as natural soothing agents to calm sensitive areas. Cools and comforts the skin. Active Ingredient: Camphor 0.1% Inactive Ingredients: Water (Aqua), Glycerin, Ethylhexyl Palmitate, Petrolatum, Dimethicone, Ethoxydiglycol, Cetyl Alcohol, Stearic Acid, Steareth-2, Steareth -20, Phenoxyethanol, Alcohol, Ethyl PABA, Glyceryl Stearate, PEG-100 Stearate, Dimethiconol, Lavandula Angustifolia (Lavender) Oil, Carbomer, Methylparaben, Camphor, Citrus Medica Limonum (Lemon) Fruit Extract, Sodium Hydroxide, Tatrasodium EDTA, Menthol, Butyparaben, Ethyylparaben, Mentha Piperita (Peppermint) Leaf Extract, Acetyl Dipeptide-1 Cetyl Ester, Avena Satica (Oat) Bran Extract, Isobutylparaben, Propylparaben, Rosmarinus Officinalis (Rosemary) Leaf Oil.